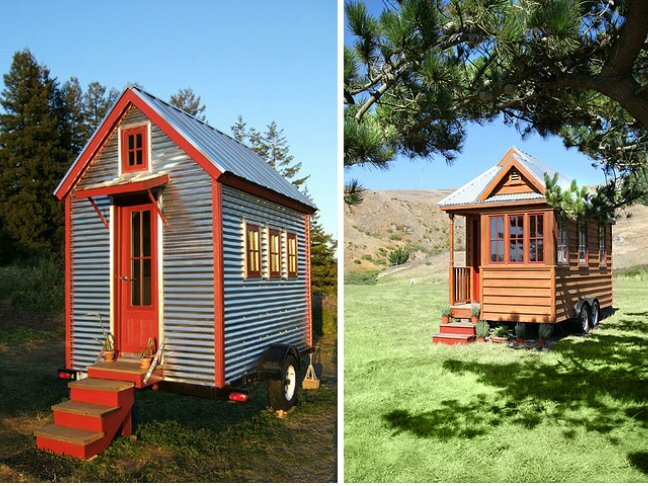 These tiny houses are so inspirational…what kid wouldn’t dream of having one of these? We were knocked off our seats when we first stumbled across these incredible tiny houses, above, built by Jay Shafer and his Tumbleweed Tiny House company. And though they’re meant as homes for adults, we couldn’t help but think about how fantastic similar structures would be as playhouses for kids. Forget making tents out of blankets and rickety old tree houses — these playhouses are nothing like you’ve ever seen! This adorable playhouse looks like a miniature version of a real house, complete with a charming front porch. 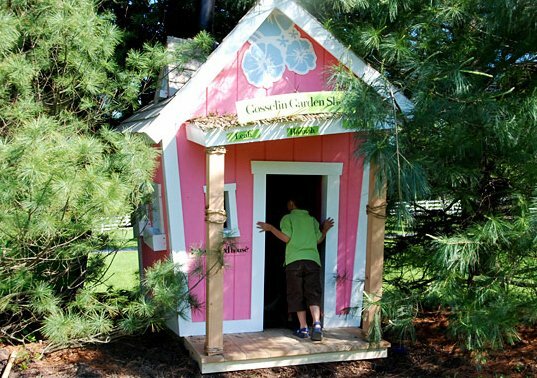 These playhouses, from Perfect Playhouses, can even be made to match your actual home! 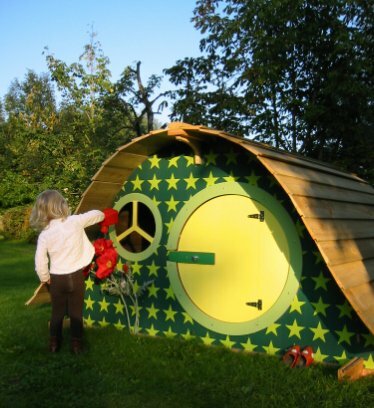 Netherlands-based qb makes modern and completely customizable playhouses, so your kiddos can pick out the colors and prints they like best. Looking like they’ve jumped straight from the pages of a fairy tale, playhouses by Kids Crooked House are whimsical and colorful. Jon and Kate Gosselin’s sextuplets love theirs! 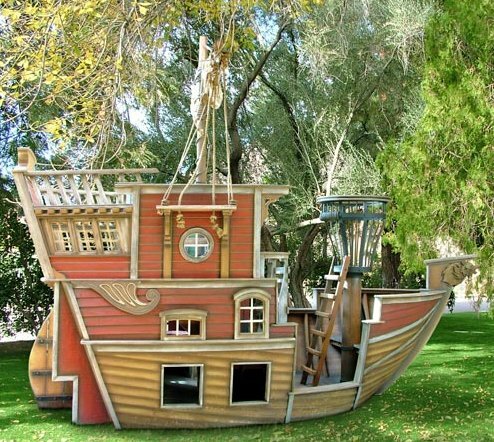 And the winner of the “Are You Kidding Me?” category in our list of ultra-playhouses is this giant pirate ship from Posh Tots, this just might be every little boy’s dream come true.